Every writer needs a notebook. This one is designed for the insomniac writer and includes lots of creative writing prompts (Write the shortest story ever written. Describe the taste of regret.) and quotes about the power of nighttime. Only $15. 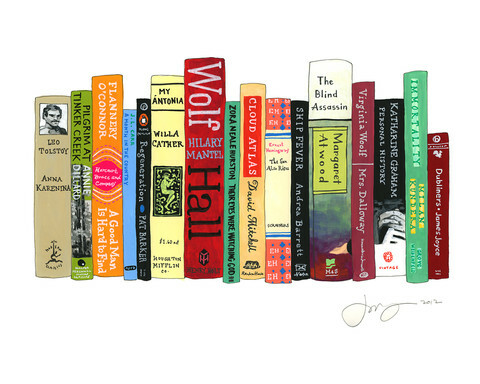 My Ideal Bookshelf is both a book and a series of art prints that can be hung on your wall. Edited by Thessaly La Force and illustrated by Jane Mount the illustrations show the bookshelves of cultural figures, including writers Michael Chabon, Dave Eggers, Jennifer Egan and Junot Diaz. The cover of the book gives you some idea, but check out the website for close up views of the illustrations. Book $25, prints on archival paper $28. 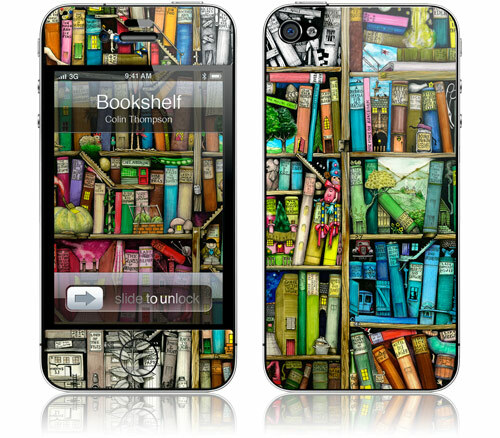 Protect your favorite writer/reader’s iPhone with a gelaskin from Colin Thompson. $15. There have been several films about writers this year, including The Words, Writers, and Being Flynn. My favorite, and one I’d give to a non-writing friend too, is Ruby Sparks. a 2012 romantic comedy-drama about a struggling novelist whose fictional character, Ruby Sparks, comes to life. It scored 79% on RT (Rotten Tomatoes) and has a great cast. I loved it. From $18. For your favorite book snob, to broaden his horizons, or for a young person you want to entice into the classics, Seymour Chwast’s graphic novel of The Odyssey. It’s not exactly the same old thing. Odysseus travels by space ship, for a start. Chwast brought out Dante’s Divine Comedy in 2010 and the Canterbury Tales last year. List price $20. With the increasing electronic incorporeality of existence, sometimes it’s reassuring—perhaps even necessary—to have something to hold on to. Thus within this colorful keepsake box the purchaser will find a fully-apportioned variety of reading material ready to address virtually any imaginable artistic or poetic taste, from the corrosive sarcasm of youth to the sickening earnestness of maturity—while discovering a protagonist wondering if she’ll ever move from the rented close quarters of lonely young adulthood to the mortgaged expanse of love and marriage. Whether you’re feeling alone by yourself or alone with someone else, this book is sure to sympathize with the crushing sense of life wasted, opportunities missed and creative dreams dashed which afflict the middle and upper-class literary public (and which can return to them in somewhat damaged form during REM sleep). A pictographic listing of all 14 items (260 pages total) appears on the back, with suggestions made as to appropriate places to set down, forget or completely lose any number of its contents within the walls of an average well-appointed home. As seen in the pages of The New Yorker, The New York Times and McSweeney’s Quarterly Concern, Building Stories collects a decade’s worth of work, with dozens of “never-before published” pages (i.e., those deemed too obtuse, filthy or just plain incoherent to offer to a respectable periodical). List price $50. $27 at Amazon. Ooh, My Ideal Bookshelf sounds like the perfect, drool-worthy coffee table book for a reader or writer! 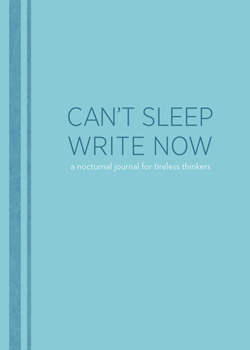 I like the insomniac notebook, too. Thanks for the gift (or wish list) inspiration!